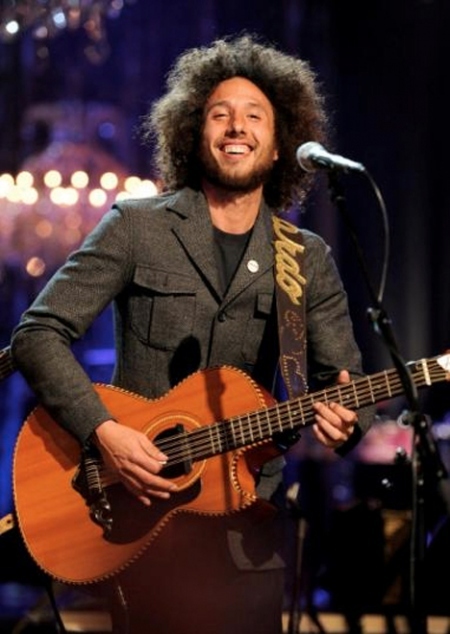 Zack de la Rocha father is of Mexican American heritage and his grandfather was a Sinaloan revolutionary born in Cananea, Sonora, Mexico, who fought in the Mexican Revolution. 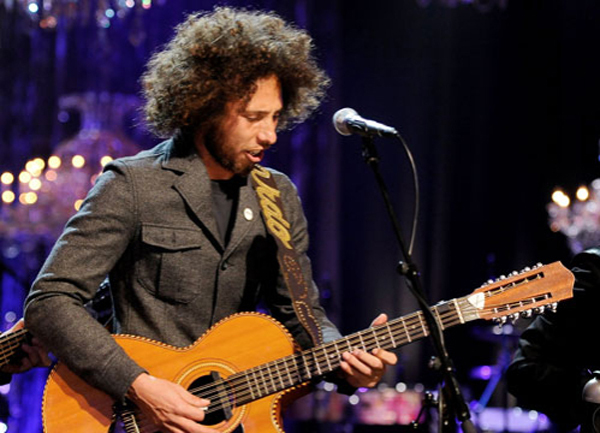 In keeping true to his Mexican roots, his band Rage Against The Machine and his political views on February 8, 2011, Zack performed with the pro-immigrant Norteño band from Mexico Los Tigeres del Norte. They performed the song “Somos Más Americanos” which translates to “We Are More American“. Take note of the upright bass player at the beginning of the song that plays the bass line to RATM “Killing in the Name“. 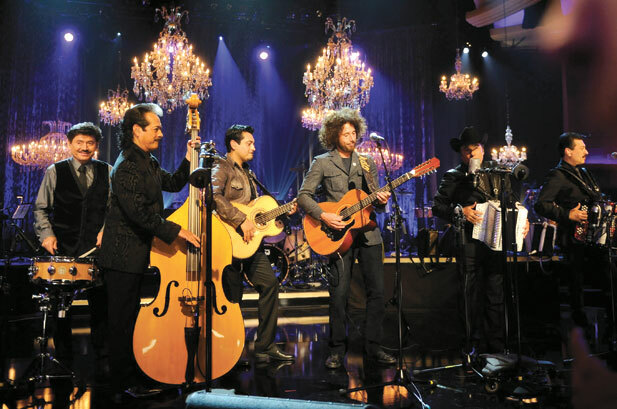 The concert was filmed by MTV and released as MTV Unplugged: Los Tigres del Norte and Friends. It really looks really really weird seeing Zach smiling and playing the guitar. and just before leaving some of the lyrics of somos más americanos. "Yo soy la sangre del indio, soy latino, soy mestizo, soy de todos los colores y de todos los oficios. Y aunque le duela al vecino, somos más americanos, somos más americas﻿ que tododititos los gringos"